Well, turned into a nice day. I was reminded that January and February are usually dreary so I should expect it to be that way. I hate it though, especial right after the holidays and the decorations are down, especially the lights. Sigh. So blah. Anyway, dreaming of warmer days and continuing on with my Nature Challenge. I did not see a time limit for when photos could be taken and I had this shot I wanted to use one day ready to go from the archives. 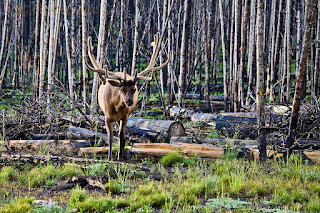 This is a beautiful Elk I was able to see and photograph during our trip to Yellowstone. 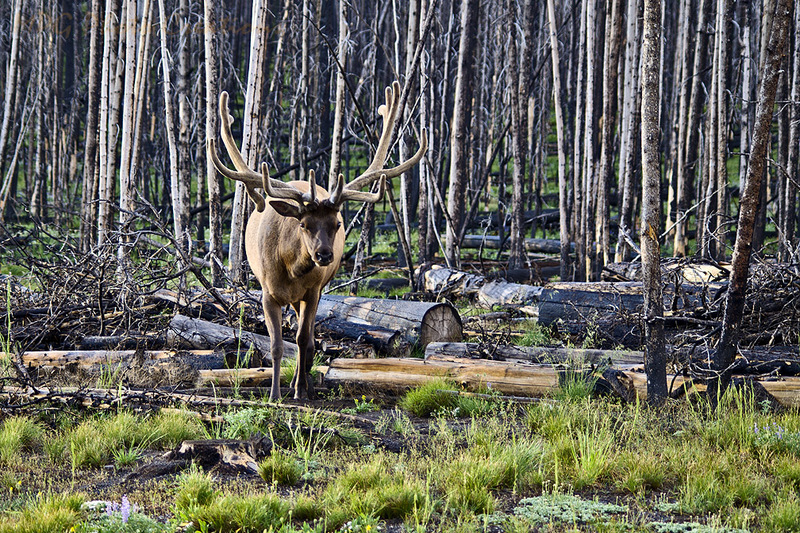 It was just slowly walking along and eating new growth in this previously burned out part of the park. It was just wonderful with it's big tack of antlers. I felt very privileged to be able to see it and photograph it.